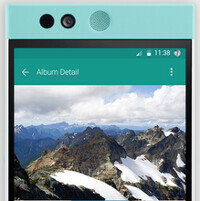 The Nextbit Robin is currently priced at just $199. The deal is good for a brand new unlocked phone. The Nextbit Robin launched at a price of $399, but the handset’s price has dropped to $299 in the meantime. This new deal, which is valid until the day after tomorrow, translates into a 33% discount. In the official announcement of this temporary deal, Nexbit has thrown punches at both Apple and Samsung by highlighting that the Robin doesn’t catch fire and comes with a headphone jack. The things we take for granted, eh? The main highlight of the Nextbit Robin is its smart storage solution: the phone automatically juggles files and apps between internal and cloud storage to make sure that your most important files are stored locally while also ensuring that the remaining data is safely stored in the cloud. Feb 18, 2016, 1:37 PM, by Mihai A.
Apr 27, 2016, 8:55 AM, by Mihai A.
Jan 10, 2016, 6:19 PM, by Maxwell R.
Apr 19, 2016, 9:23 AM, by Ray S.
What do you guys make of this deal? Can you think of a better phone that doesn’t break the $200 price barrier? I think this is a great price to try it out, if you don't mind the size. Go to Youtube, a channel called JERRYRIGEVERYTHING - watch the durability test he did on this phone and then see if you still wanna pay $200 for it. Lol that's the exact video I think of whenever I see this phone. This phone would be appealing with 3680 mAh battery, not 2680.
Who cares about the whole cloud thing. The price is great for the specs and updates. A disappointment. At my IT related business, coworkers and I were following the development and release of the Robin and were crying tears of unfathomable sadness when they scrapped development of the CDMA Robin. Good job failing, Nextbit.